Higher Call Christian Church - Welcome To HCCC! In June 2001, Drs. 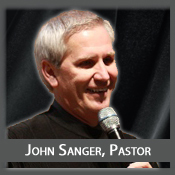 John and Maureen Sanger accepted the Higher Call to Senior Pastors and led the congregation into a new facility. They continue the mandate of Higher Call to be a house of God that is free from national, ethnic, racial and gender prejudice. 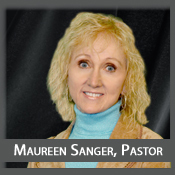 My wife, Maureen and I believe that God commissioned us to be "Harvesters." According to the scripture in Matthew 9:35-38, and we immediately immersed ourselves in making a difference in the community where we lived. We ministered to all whom the Lord sent to us - some who were poor and struggling and others who were young and searching. We became actively involved in the civil rights movement standing for the freedom of all people. In 2001, we moved with many of our congregation to pastor in Raleigh , NC and again we found ourselves making a difference in human lives. Soon we were growing with people from all walks of life, racially, socially, and economically joining together in the work and worship of God. Our church is no longer just the dream of a pastor and his family...it is a reality that influences many around the world. God has directed us in such a way that we will never be the same. Our preaching and teaching centers around the theme of Jesus' own teaching, "The Gospel of the Kingdom." Jesus Christ is Lord now—the King of God's Kingdom- and His Lordship must be lived out in every area of life by believers who are willing to submit to His rule. That's what we've been called to do. It's what this church has been called to do. You may not have been with us in those early days, but God has given you the opportunity to be as much a part of fulfilling God's purpose for this church, as any of us who began this ministry. You are welcome to learn more about us by attending a service, getting involved in our global missions, or by exploring our growing web site. We're glad you took an interest in the directions that God is leading us.